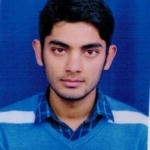 Sanjeet Kumar from Mohali, B.Com Graduate. Sanjeet Kumar is Markerting Or Travelling Tourism and currently have no work experience. Sanjeet Kumar is working in Sales Marketing industry.